Yoco is an important element in the Secoya culture: hosting many benefits including acting as a key ingredient in the morning routine between father and son by aiding in the transfer of traditional knowledge and as a medicinal tool. Delfin squats low over a large clay bowl, delicately scraping the orange inner bark of a thick, woody yoco vine. It’s before dawn. The light of a small fire illuminates his sharp features, carved like stone over 85 years of life in the forest. He mixes the pulp with water in a smaller bowl made from a gourd. The water takes on a rich orange color. He blows on the drink, forcing bad spirits away—oosh, oosh, oosh— just as he would when serving yagé, the sacred hallucinogenic brew also known as ayahuasca. He hands the gourd to his adult son, Miguel, who drinks down the bitter liquid. They spend the next hour chatting and weaving chambira palm fiber into durable string used to make hammocks, bags, and other craft items. For this Secoya father and son, the day begins in accordance with tradition, much like any other day for as long as Secoya memory can recall. Yoco is a plant of profound social and spiritual importance for the Secoya. So important, in fact, that the Secoya, or Siekopai, would historically choose the location of their settlements based on the availability of yoco. Renowned ethnobotanist Dr. Richard Evans Schultes called Paullinia yoco “the most important non-alimentary plant in the natives’ economy” in the Amazonian border region between Ecuador, Peru, and Colombia. Drunk by both men and women, yoco contains caffeine and theobromine and has stimulating, purgative, emetic, contraceptive, abortive, and psychoactive properties. In 1927, the French chemist M.L. Guignard attributed to yoco the benefits of reducing “fatigue, hunger, and sickness,” while the Italian missionary Pinell claimed that yoco helps prevent a host of diseases, including malaria. The Secoya maintain a complex belief system based around yoco. The yoco vine is viewed much like a living being. It has a spirit that advises, guides, and stimulates people. Yoco-pai, or gente yoco viviente, are celestial beings embodied by yoco that protect the Secoya and, along with other spirits, promote life by allocating food, resources, and knowledge. The master, or dueño, of the yoco is the cuacuiyó bird (Lipaugus vociferans), which is drawn to the fruit of the yoco and spreads the seeds throughout the forest. The man who knows where to find yoco is called the hunter. In the Secoya culture yoco plays an important pedagogic role. Men get up early to drink yoco with their sons, using that time to impart lessons, values, and ancestral knowledge. Thus, yoco has an important influence on the formation of young Secoya into responsible and mature adults. But yoco also has its dangers. It is believed that someone who drinks yoco in excess can be poisoned. Instead of receiving advice from the plant, he or she becomes angry, short-tempered, and incapable of coexisting with others from the tribe. As with all things, balance must be achieved for a positive outcome. In the shamanic spiritual world, there is a connection between yoco and yagé. Both are derived from woody vines, or lianas. Like yagé, yoco is a teacher. It is also a bitter brew that can be dangerous to the uninitiated. When Secoya shamans drink yagé, they may visit and communicate with the yoco-pai and receive instructions and advice, or they may communicate with the master of yoco, the cuacuiyó, in order to find yoco in the forest. To do both requires adherence to a strict diet, sexual abstinence, and disciplined training. Not everyone knows how to find yoco in the forest. The vine can grow twenty-five meters or more in length, and its leaves are often hidden from view high up in yarumo and balso trees. To find wild yoco, the hunter must know the habits of the cuacuiyó, whose song can signal the presence of the vine. 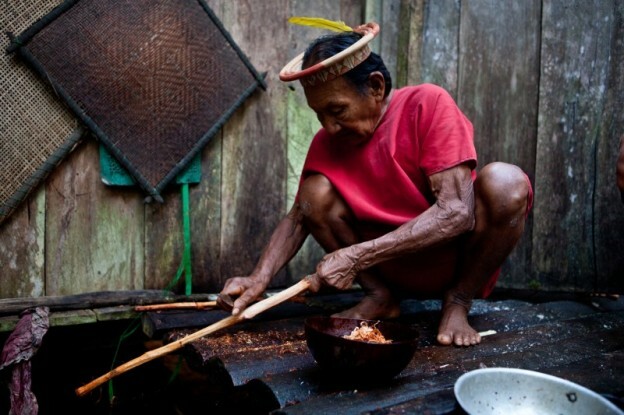 Relationships with cuacuiyó must be established through rituals and yagé. Many Secoya would also traditionally plant yoco in their gardens deep in the forest in a location near water and with abundant light. Yoco takes many years to become apt for harvest. Often fathers would plant yoco for their children to harvest in the future. Miguel may harvest some of the yoco that Delfin has planted long after his father is gone. As the newer generations of Secoya progressively lose touch with the forest, the tradition of drinking yoco is fading. Few Secoya still raise and prepare yoco, and even fewer know how to find it in the forest. The loss of yoco is also the loss of the important and intimate passing of knowledge from father to son. It is the loss of an important element of Secoya spirituality. If communication ceases between the hunter and cuacuiyó, then who will lead the Secoya to yoco? 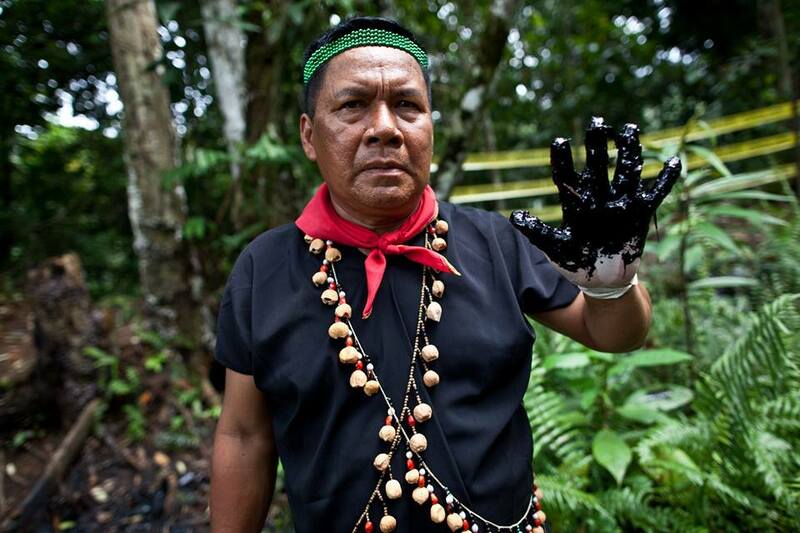 If the connection is lost between the Siekopai and the yoco-pai, then who will watch over the Secoya people in the future? Belaunde, Luisa Elvira and Echeverri, Juan Alvaro, “El yoco del cielo es cultivado: perspectivas sobre Paullinia yoco en el chamanismo airo-pai (secoya-tucano occidental)”, Antropología/Año XXVI, N.˚26, December 2008, pp.87-111. Ramírez, Germán Zuluaga, El Yoco (Paullinia yoco) La savia de la selva, U. de Rosario Press, 2004. Want to blog with us? 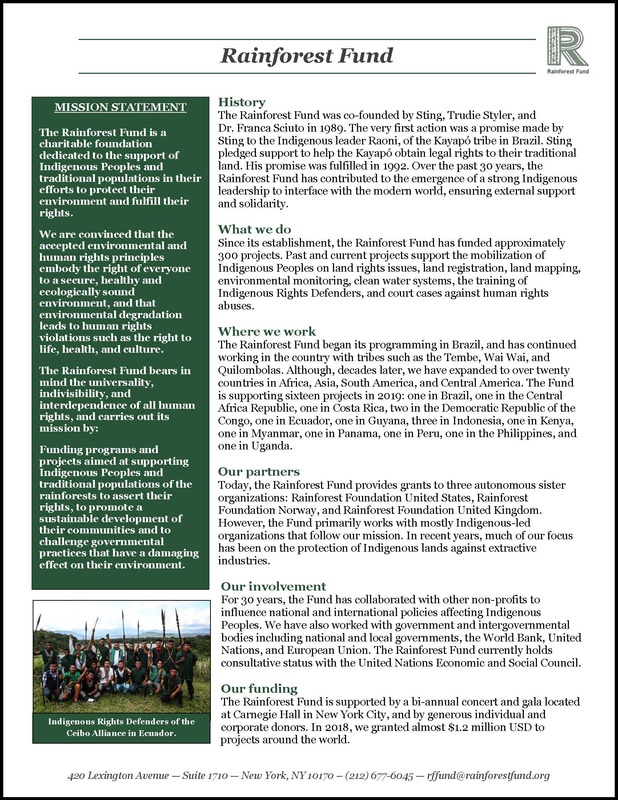 Contact Madeleine at rffund@rainforestfund.org for more information!